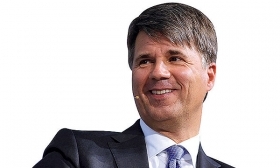 SPARTANBURG, South Carolina, USA — BMW Group CEO Harald Krueger expects the third-generation X3 compact crossover that arrives late this year to outsell all competitors — and he's making it clear to his U.S. leadership team that there will be consequences for failing to meet that goal. "We created that segment. The No. 1 approach and target I clearly have is, there shouldn't be anyone besides us who is No. 1," Krueger said after unveiling the redesigned 2018 X3 at BMW's assembly plant here last month. "If somebody on my team is not performing to that, well, he has a problem." Krueger noted that he planned to emphasize his expectation during meetings with the U.S. sales team. For the X3, segment leadership would mark its return to the top of a booming category that it once dominated but hasn't led since 2012 amid an influx of new competitors. The reason Krueger is so confident that the X3 can do the job? The U.S. will get a major increase in allocation as BMW launches X3 assembly in plants in South Africa and China. "This gives us the opportunity to push forward more cars to the U.S. market," Krueger said. The X3 has been a bright spot for BMW during the last 18 months, even though the brand's overall U.S. sales have declined. X3 sales rose 30 percent through the first five months of 2017 despite the vehicle being at the end of its life cycle. X3 sales rose 38 percent in 2016 to 44,196 vehicles, a record for the nameplate that was introduced in 2004. The X3 led its segment in the U.S. from its debut through 2008 and then again in 2011 and 2012. In recent years, the X3 has at various times trailed the Lexus NX, Acura RDX and Mercedes-Benz GLC (and its predecessor GLK). The overall expansion of the segment underscores why the third-generation X3 is so important to BMW. "The X3 is very crucial because that segment is still the biggest one in terms of growth," Krueger said.